That’s a wrap. 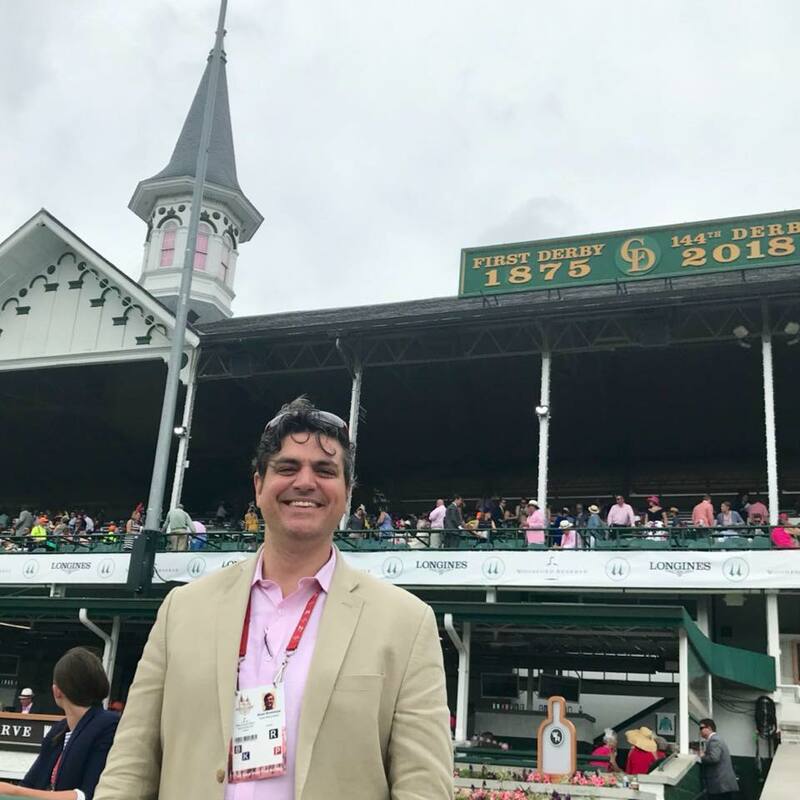 The 2019 Kentucky Derby prep season has come to an end, but only after an exciting final day. Following the last two points races, a pair of horses are considered newly in, while some notable names are outside the current Top 20 with connections hoping for one defection (or more) to move them back in. Using recent history as a benchmark, the cutoff to get in the Top 20 generally ranges from between 21 and 30 points. In 2019, however, the threshold is on track to reach an all time high. The highest points total to previously represent the final spot in the Kentucky Derby field was in 2016 when Mo Tom made it in with 32. After of Saturday, the last horse in is at 40 points. Before running down changes prompted by Saturday's races, let's start by looking at contenders already projected to qualify for the Derby. Note that Arkansas Derby (G1) runners Long Range Toddy and Omaha Beach both went into the weekend already inside the Top 20. Although it was easy to project that the son of City Zip would qualify for the Kentucky Derby, he still depended on a Top 3 finish in the Arkansas Derby to seal the deal. He wasn't good enough to get by Omaha Beach, but breaking from a difficult inside post, he delivered a nice effort and sets up a rematch in three weeks. A fourth-place finish in the Louisiana Derby (G2) left Country House with 30 total points, and off a three-week layoff, the son of Lookin at Lucky returned to the Arkansas Derby and did enough to punch his ticket to the Kentucky Derby with a third at Oaklawn Park. After finishing second in the Lexington Stakes (G3), Anothertwistafate was in...for only a couple hours. The thrill didn't last long, as he was bumped out of the Top 20 once the Arkansas Derby went official. Per TVG's Britney Eurton, trainer Blaine Wright plans to keep his colt in Kentucky hoping for a spot in the field. Otherwise, connections have an expenses-paid trip to the Preakness Stakes on deck. It’s been a respectable 3-year-old season for the son Atreides. In four Kentucky Derby points races, Sueno finished in the Top 3 on every attempt. But the total points that he earned from those performances aren’t going to be enough. The son of Bodemeister made a big statement by finishing second in the Florida Derby. Because it was his first graded stakes start, it puts him on the wrong side of the tiebreaker that decides that final spot in the field: unrestricted stakes earnings. Spinoff, second in the Louisiana Derby, gets that edge, but Bodexpress is first out. After the Blue Grass Stakes (G2), Signalman had the points needed for the Top 20, but he was still on the bubble due to the possibilities that could play out against him Saturday. Ending up on the wrong side of a photo finish for second in the Blue Grass counts him out, barring some defections. Because Owendale entered the Lexington without any points, the 20 he earned won't make the Kentucky Derby cut. That said, he's Triple Crown-nominated and could appear later in the series. The connections for Knicks Go were not determined to get their colt to the Kentucky Derby, but they left the door open for a final decision if he were to win the Lexington. A fourth-place effort won't do it. By posting a dominant win in Oaklawn Park's Gazebo Stakes, Gray Attempt got one more chance to qualify for the Kentucky Derby when his connections decided to stretch him back out in Arkansas Derby. He ran ninth Saturday. After a wonderful start to his racing career in Southern California, two trips to Oaklawn to earn Kentucky Derby qualification points didn't end as hoped. After a third-place finish in the Rebel Stakes, his first Kentucky Derby prep, the son of Uncle Mo needed to finish first or second in the Arkansas. Instead, Galilean finished 5th. The connections for the top four horses on the European Road to the Kentucky Derby all declined an invitation to the Kentucky Derby, Churchill Downs reported Saturday. 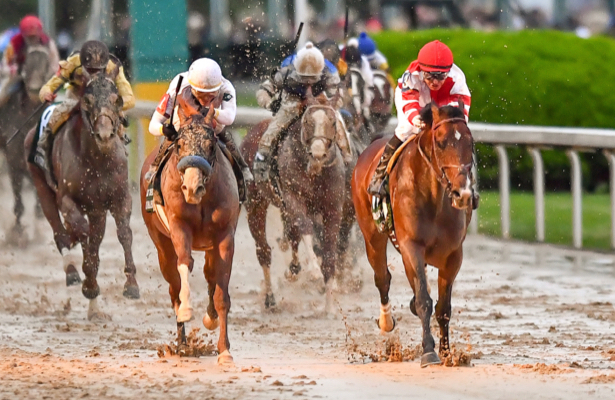 That leaves 19 horses that will qualify from the traditional Kentucky Derby points in the U.S. and Dubai, while Master Fencer represents the Japan Road to the Kentucky Derby.